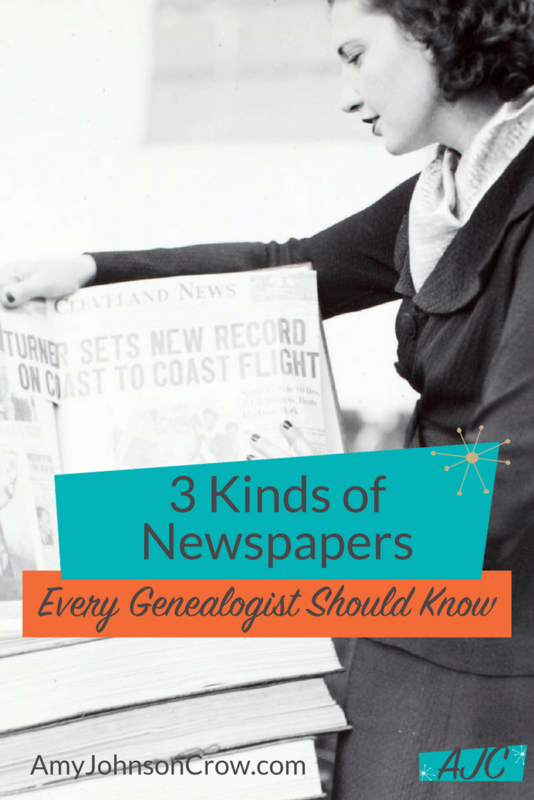 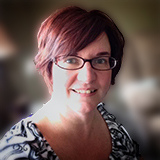 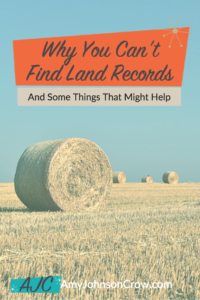 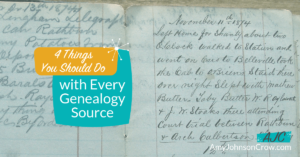 There are so many different types of sources that we can use in our genealogy. 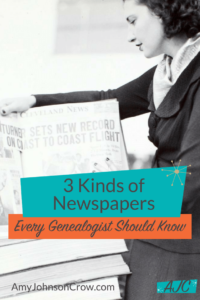 But no matter what type of source you're using, there are 4 things that you should do to get the most out of it. 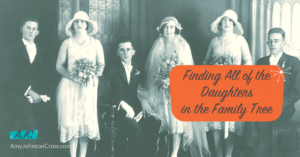 It's a good idea to research all of the children in a family, rather than just the child from whom you descend. 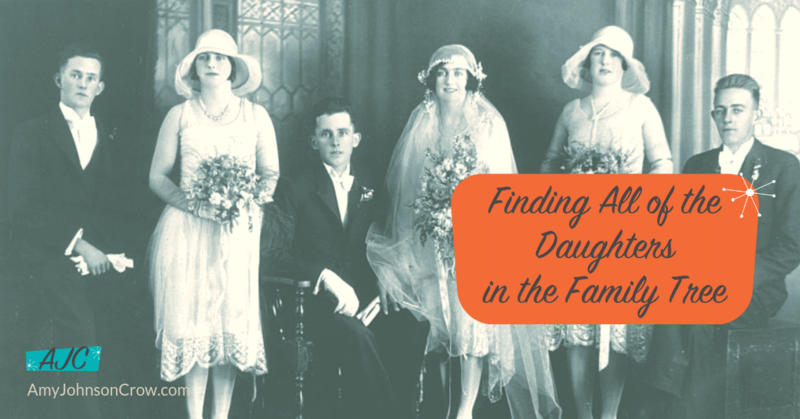 But how do you research the daughters when you don't know what name they were using? Here are some ways to approach that research. 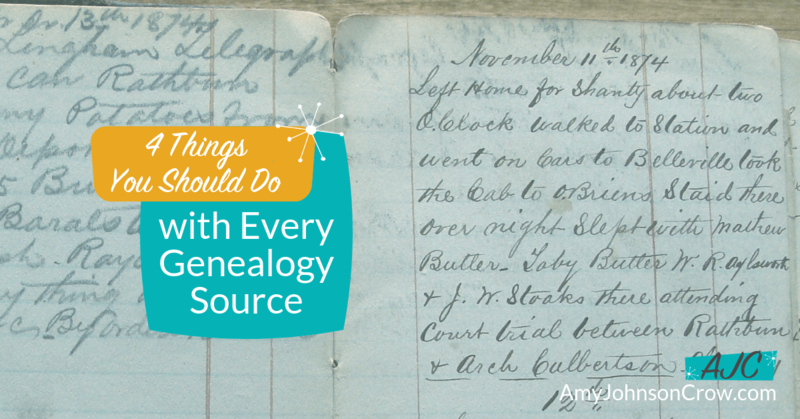 Before you fill up the tank and hit the road, take some time to prepare for your genealogy road trip. 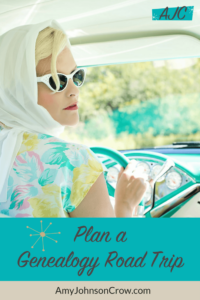 Here are some things you can do ahead of time as well as a checklist of things to take with you that will help you have a successful and enjoyable trip.